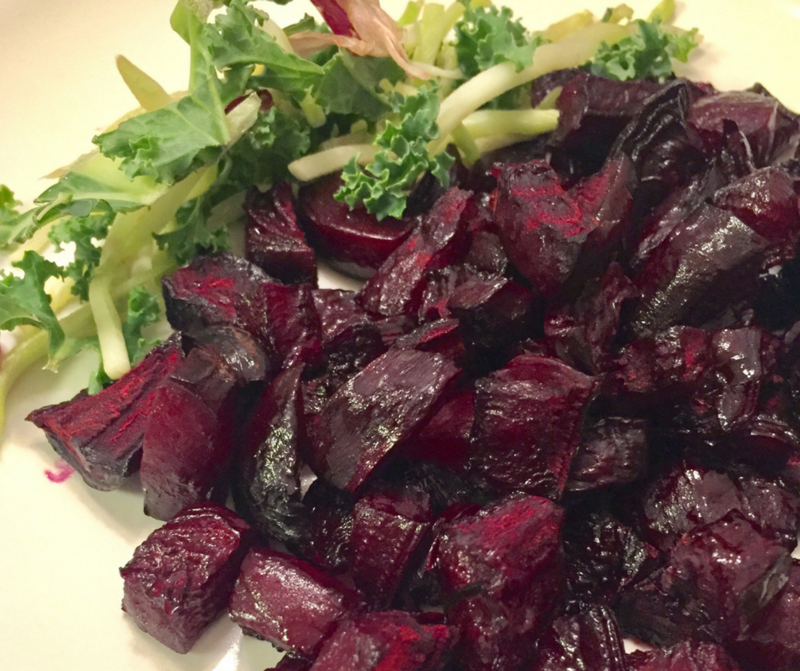 As we celebrate National Nutrition Month in March, we are featuring a delicious and vibrant side dish starring beets! -Position a rack in the lower third of the oven and preheat to 400 degrees. -If roasting beets, you will first want to boil them in order to peel off the skin easily or you can peel off the skin with a peeler (just don't be surprised if your hands turn a purple color...it'll wash right off though). -In a large bowl, combine the vegetables, olive oil, cumin, coriander and salt. Toss well to coat. Arrange the vegetables in a single layer on a large baking sheet. -Roast, stirring or shaking the vegetables every 15 minutes, until tender and evenly browned, about 45 minutes. Sprinkle with the pepper, taste and adjust the seasoning. -Transfer to a serving dish. Serve hot or at room temperature.